About - The TV Answer Man! The TV Answer Man is here to help you navigate the increasingly complex world of television. The site provides daily news, analysis, and how-to features on everything from Smart TVs to streaming to 4K TV to, well, you name it. The new TV technology field is an increasingly big one, and we intend to cover it like a blanket. If you have a question about new TV technology, send it to us at swann@tvpredictions.com and we will do our best to provide a clear and helpful answer. Swann, also known as Swanni, has covered the TV technology industry since the early 1990s, starting as the editor of Satellite Orbit, a magazine devoted to satellite television. Later, Swann became editor and publisher of Satellite DIRECT, a magazine targeted to DIRECTV subscribers, and editor and publisher of TV Online, a magazine that covered the blending of the entertainment and technology industries. 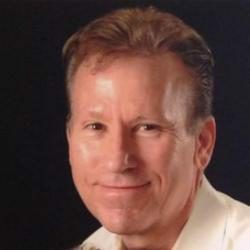 He started the web site, TVPredictions.com, in 2001 and remained its editor and publisher until 2017 when he closed the site to begin TVAnswerman.com. Swann has also worked for Sony Electronics, and is the author of two books, TV Dot Com: The Future of Interactive Television, and How to Land a Job In Journalism, a self-help guide for young journalists. Finally, Swann resides in Calvert County, Maryland with his wife, Danielle, and their six-year-old daughter.